New Delhi: The National Green Tribunal has directed the premier Institute of Human Behaviour and Allied Sciences (IHBAS) to clean up the bio-medical and municipal solid waste lying in its premises within two weeks. A bench headed by NGT Chairperson Justice Swatanter Kumar also ordered a joint inspection by a team of Central Pollution Control Board (CPCB) and Delhi Pollution Control Committee (DPCC) and sought a comprehensive report from it in a month. The direction came after advocate Siddhartha Singh, appearing for city resident Balbir Singh, submitted pictures alleging that the hospital was recklessly handling bio-medical waste and causing air pollution by burning garbage in the open. “The site shown in the photographs should be cleaned absolutely within two weeks from today and the waste should be transported to the designated site … without delay and default. “The joint inspection team of CPCB and DPCC shall inspect the site of IHBAS and submit a complete and comprehensive report in relation to compliance within one month,” the bench, also comprising expert member B S Sajwan, said. During the hearing, the counsel for the hospital told the tribunal that the photographs placed on record have been taken by the applicant when the staff was on leave and that was why the waste had accumulated. 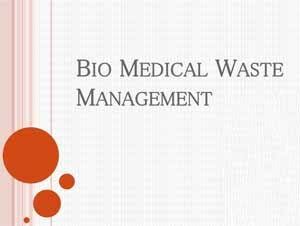 He assured the bench that the hospital would ensure that municipal solid waste and bio-medical waste are “collected, transported and disposed of” strictly in accordance with Solid Waste Management Rules, 2016 and the Bio-Medical Waste Management Rules, 2016. The petition had claimed that IBHAS was violating the Bio-Medical Waste Management Rules, 2016 and improperly handling the waste generated during patient care. The plea had also alleged that segregation of waste in IHBAS was unsatisfactory, the storage of bio-medical waste was not done in the isolated area and proper hygiene was not maintained. It had alleged that rag pickers are allowed unauthorized transportation of waste by the hospital through routes passing through patient care areas. Singh had also sought imposition of fine or penalty on IBHAS for the damage caused to the environment. IBHAS does not have an operational sewage treatment plant and no proper waste treatment and disposal facilities are available at the hospital, the petitioner had said.